Bosque del Cabo is dedicated to conservation on the Osa Peninsula and has made a commitment to practice and teach sustainable tourism. Our desire to protect the biodiversity and pristine natural condition of the Osa Peninsula, with a specific focus on the area in the corridor from where Bosque is located on Matapalo point up to Corcovado National Park, was a natural and unstoppable compulsion that we felt from the moment we discovered this beautiful land. From our first trip to Costa Rica and the Osa Peninsula we were awed by the wildlife and the forests here. The raw natural state of the Osa, even in its most hostile versions (for instance, in the middle of rainy season in the mid 1980´s when there were no bridges over raging rivers, no electricity to provide lights and no schools, supermarkets or paved airstrips on the peninsula) was astounding in the feeling, the very pulse of life that radiated from every inch of this magnificent area. Of course Bosque is a business, but we started the lodge in order to give us an excuse to stay and live in this amazing place. We wanted our guests to be able to experience that feeling of wonder and awe that we felt (and still feel every day). We feel very strongly that we are stewards of this land and that it is our responsibility to protect it and help the area to flourish. To this end, we personally use most of the proceeds from Bosque to purchase as much property in this area as we can that we feel is threatened with development or non-conservation minded use. We also work with the conservation groups in this area to facilitate and strengthen their efforts. We include information about all these groups in the literature at the lodge and in the accommodations so that our guests can also help if they so wish. The amazing thing is that our guests can make a donation to one of these causes and really make a difference! Further, we at Bosque are committed to practicing and teaching sustainable tourism (please see the ¨sustainable tourism¨ section of this website for more information). Global warming is a problem generated in developed countries and to a lesser extent, in developing countries. The 50% increase in energy retention in the atmosphere is due to the accumulation of CO2 results from the use of fossil fuels. But about 30% of greenhouse gases are due to land use change and likewise C emissions from deforestation is 1.6 billion tC. It is estimated that deforestation in the tropics contributes between 42 and 160 million tC / year to the atmosphere, of which between 10 and 30 million tonnes are attributed to the decrease of organic matter in the deforested land. Between 1850 and 1985, only by the change in land use, Latin America contributed 3,000 million tonnes of carbon, with a Carbon biotic flow into the atmosphere 67 million ton / year. In Bosque del Cabo, we changed the system of livestock extension programs for reforestation and through the trees, we reduce carbon footprint through the most natural method of reducing emissions of this gas. The trees capture CO2 through photosynthesis thanks to sunlight, captures CO2 and releases oxygen (O2). Being not only a major source of emissions, but also a victim of global warming, the hotel industry is a pioneer in many aspects of social change, today. As for the possible tensions between environmental protection and conventional tourism, developing sustainable forms of tourism offers attractive alternatives as well as the ability to take a clear position towards climate protection. To take into account one of the main archaeological attractions of the area, we decided to define the subject of the archeology of Costa Rica and focus on the mysterious stone spheres found in the southern region. The spheres are known locally as balls of Costa Rica. As a whole, they are are considered unique in the world in number, size, perfection, organized training schemes and abstraction alien to natural patterns. In 2014, UNESCO chose the set of pre-Columbian settlements chiefdom stone spheres World Heritage Diquís humankind. The 16th of July, 2014, the Legislative Assembly of Costa Rica declared the national symbol of the country. The dimensions of the spheres oscillate in a range of 10 centimeters to 2.57 meters in diameter and their weight exceed 16 tons. Most are made of hard stones such as granodiorite, gabbro and a few limestone. Archaeologists through their site stratigraphy and other objects found in the area, consider that the stones were placed by the natives of the area between the 300 a. C. and 300 a. c., but the sculptural work has not yet been scientifically dated. 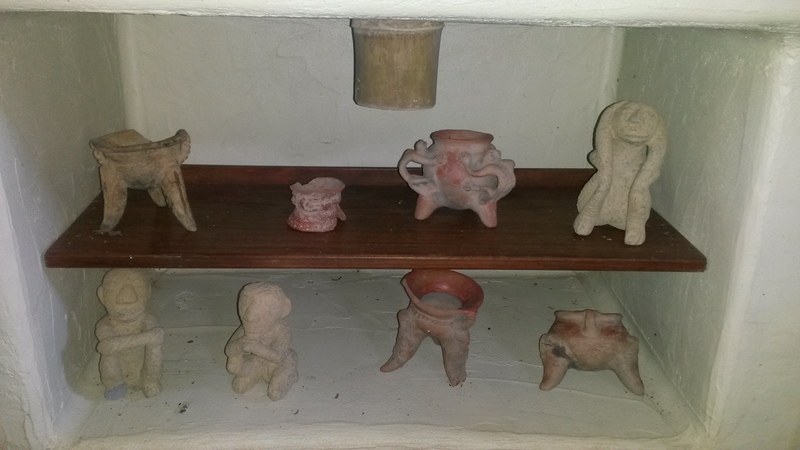 In Costa Rica have been found objects and craft influences of Maya (from Guatemala), Olmec and Aztec (from Mexico, far away from the north) and Chibcha (from Colombia), Quechua and Inca (from Peru, far away in the south). On the other hand, in Costa Rica existed sukias school called Guayabo, located in Turrialba Cartago, its settlement has been explored an estimated of 10%, which has been declared World Heritage Engineering in 2009 according to American society of Civil Engineers ASCE. However, in the country there is a variety of archaeological pieces held in the National Museum of Costa Rica, who study and help protect such cultural heritage. The collection consists context is formed by complete entire and pieces of ceramic, stone, gold, jade, human remains, remains of fauna and flora; of those whom have accurate information about their origin. Let us introduce the festival calendar in order to take care of archaeological heritage of the Osa Peninsula through the following link, which you can consult whenever you want it because the administrator is the National Museum of Costa Rica and this website is kept updated. Kim works with Women of the Osa; she served as treasurer for several years. Women of the Osa is a group of committed volunteer women who are striving for conservation, education and ecological awareness to preserve one of the most intense reservoirs of bio-diversity on Earth. This organization works to design, implement and aid projects with public-private partnerships to protect the Osa. A unique and distinguishing factor of WOO is the perspective that these women bring to conservation. WOO is currently supporting several projects, including the “No More Garbage Campaign,” a waste management and recycling project in the local rural areas. This includes one of WOO´s big efforts- the completion of a recycling center for the high school in Puerto Jimenez. WOO worked on the construction of this center from September-December 2006 (with great help from Phil Spier and Bosque del Cabo), & officially turned the completed center over to RANA (the student ecology club of the high school) in December 2006. WOO is very proud of the center. The existence of the recycling center will accomplish several goals- to help fund an educational project that teaches children about the environment, to satisfy the responsibility we all have to protect that environment, and to create a recycling center for townspeople, as well as the lodges of the area, to use. In this project, WOO is also educating the local communities about the benefits of recycling. As start-up problems with the recycling center are resolved and knowledge is gained, expansion will be possible and the program will be available to other communities. 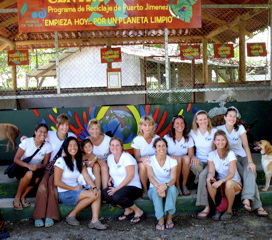 WOO also funds the “Earth Wellness” educational curriculum in the Nueva Hoja Bi-lingual School in Puerto Jimenez, as well as beach cleaning projects, Annual Earth Day events, a publication to educate new-comers to the community, “Living in the Jungle,” and on-going community outreach with local environmental and educational organizations. WOO is a non-profit association currently funded primarily through dues, fund raising events (such as the Bosque del Cabo Jungle Golf Tournament, a yearly rummage sale, Earth Day events) and traveler’s philanthropic gifts. The above-mentioned Bosque del Cabo Jungle Golf Tournament is the biggest annual fundraiser for WOO, and well-known as one of the best and most fun day events on the Osa. Women of the Osa t-shirts are available at the lodge (they are $10 each) and 100% of your t-shirt purchase will go directly to helping with these causes. Please ask Kim if you have any questions or want to help WOO. Bosque del Cabo has also supported the Osa Sea Turtle Conservation Project since its inception in 2005. This ambitious project is making great efforts towards recording sea turtles nesting from 4 different beaches on the Osa, as well as helping to preserve sea turtle nests by relocation to hatcheries. The Osa Sea Turtle Conservation Project also strives to educate Osa locals and visitors with a variety of methods, including multi-media slide shows, training for locals in methods of sea turtle conservation, talks and printed media for locals regarding the damaging effects of poaching turtle eggs from their nests, and general talks about turtle nesting, the importance of sea turtles and the fact that all sea turtle species are critically endangered. The Project is staffed mainly by volunteers ranging from marine biologists to students willing to walk the beach every night, rain or not, in order to record egg laying activities as well as patrol against poaching. During turtle nesting season Bosque hosts weekly conservation talks by the marine biologists and students involved in the program. In 2007-2008 Bosque "adopted" a stretch of beach front where 4 different species of endangered sea turtles nest, by giving money to "adopt" the beach, Bosque's donation ensures that there are funds for beach patrols and turtles conservation efforts. As well, Bosque has also directly helped the Sea Turtle Project by purchasing items like marine band radios that allow researchers and volunteers to stay in touch while patrolling on long stretches of deserted beaches. Additionally, Osa Sea Turtle Conservation Project t-shirts are available at the lodge (they are $10 each) and 100% of your t-shirt purchase will go directly to helping with this worthy undertaking. Another great cause is the new bilingual school in Puerto Jimenez, Nueva Hoja. 2007 marks the second year of Nueva Hoja- and it has been a great success. The school started the first school year with 24 students, but jumped up to around 50 students in its second year. There are Costa Rican children as well as American and other foreign children that attend the school. One emphasis of the school is to have these children mix together and socialize- for their language skills and also to create a more integrated educational option in the town. All the children from the first year of the school became bilingual and completed Costa Rican school standards, as well as U.S. school requirements (gleaned through a home school program created by Calvert). There are many children on the waiting list for Nueva Hoja, and any contribution, large or small, can help one of those kids attend this school. Bosque del Cabo sponsored a student for the 2007 school year- a child of a Costa Rican staff member. In the coming school year Bosque has pledged to sponsor at least 3 students. We are proud to help with this huge effort and important cause. Finally, Bosque del Cabo has very close ties with an important conservation group called Friends of the Osa. Friends of the Osa is a non-profit organization committed to preserving the biodiversity of the Osa Peninsula. The Friends of the Osa (FOO) team consists of dedicated Costa Rican and international biologists, educators, and conservation practitioners. FOO programs conduct scientific research, protect habitat, provide environmental education, and support sustainable human livelihoods. The recently opened Osa Biodiversity Center near Rio Piro, a 15 minute drive down the road from Bosque del Cabo, was created by FOO and provides accommodation and lab facilities for researchers, field courses, training workshops, and environmental education. Because the Osa’s ecosystems are highly interconnected, the research programs study linkages among terrestrial, freshwater and marine environments. For example, maintaining large tracts of forest not only protects jaguars, tapirs and other large mammals, but also mangroves, reefs, fish and endangered sea turtles! FOO also sponsors a conservation buyers program, and via that program, is expanding a forested corridor that runs from Corcovado National Park to Cabo Matapalo. FOO and Bosque del Cabo are acting in partnership with MINAE, Costa Rica’s ministry of the environment, to stop illegal poaching within this corridor. Friends of the Osa, with support from the Evergreen Foundation, also provides several research grants each year, particularly for Costa Rican students. 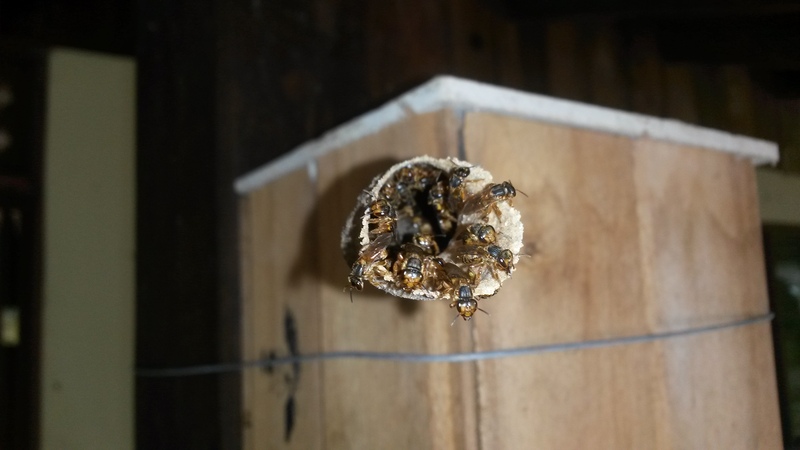 To date FOO has supported studies of orchids, primates, jaguars, crocodiles, macaws, frogs, beetles, butterflies, seed dispersal, and forest regeneration. FOO also fosters a sustainable agriculture program which provides skills training workshops, organic certification, and access to local agricultural cooperatives that support the Osa’s communities in making a living in an environmentally sustainable way. Bamboo cultivation, for example, can benefit conservation and local communities by providing a more sustainable and profitable source of income than cattle ranching. Bosque del Cabo has been active in supporting and promoting Friends of the Osa since its inception. We have donated time, money and equipment to FOO, to help in many of their endeavours. Bosque also hosts an annual Science Meeting which gives the students, researchers and biologists in the area a platform upon which to present their projects and data, and a place where they can dialogue and debate- creating a greater connectivity in the knowledge, data bases, fellowship and general information available in this area. As with the sea turtle project and other conservation efforts in this area, Bosque hosts weekly conservation talks by Friends of the Osa. Additionally, Friends of the Osa t-shirts are available at the lodge (they are $10 each) and 100% of your t-shirt purchase will go directly to helping with this worthy undertaking. We are also informing our guests that their support makes a difference and that all contributions to Friend of the Osa are tax-deductible in the United States. In 2008 Bosque donated the salary for a MINAE ranger for Corcovado National Park. We were contacted by Fundacion Corcovado about the urgent need for funds for this worker and we are happy that we are able to help protect Corcovado, and thus the wildlife of Osa in general, with this donation.